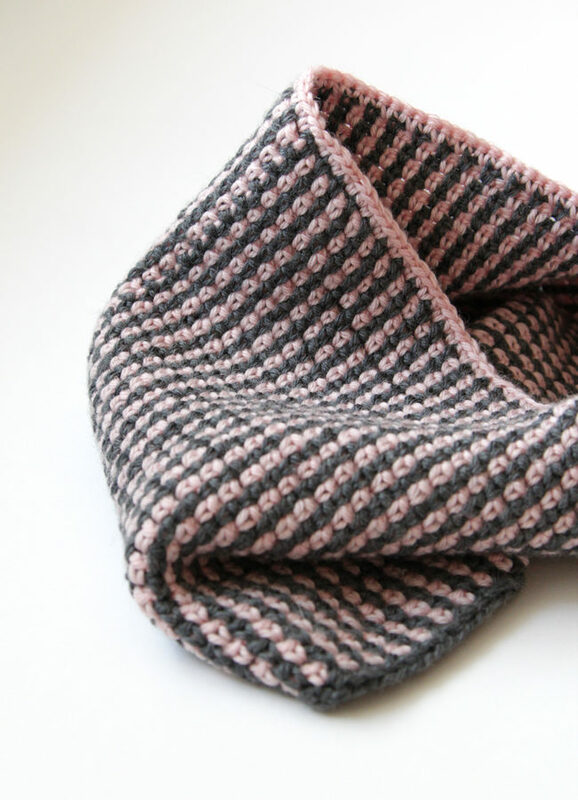 This crochet cowl is perfect for folks who want an easy-to memorize stitch pattern and a good excuse to use some stash yarn or yarn ends that haven’t yet found a home! 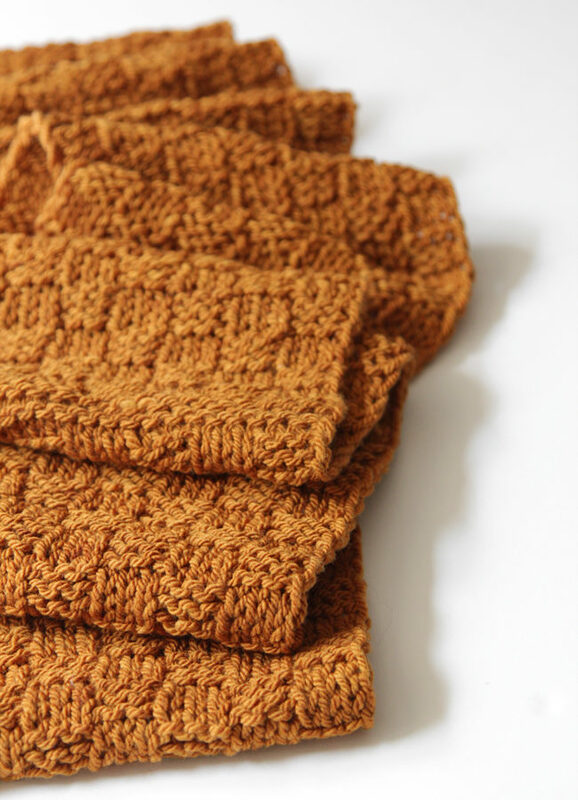 All you need to make the Moss Stitch Cowl is two, 50g balls of yarn in different colors. 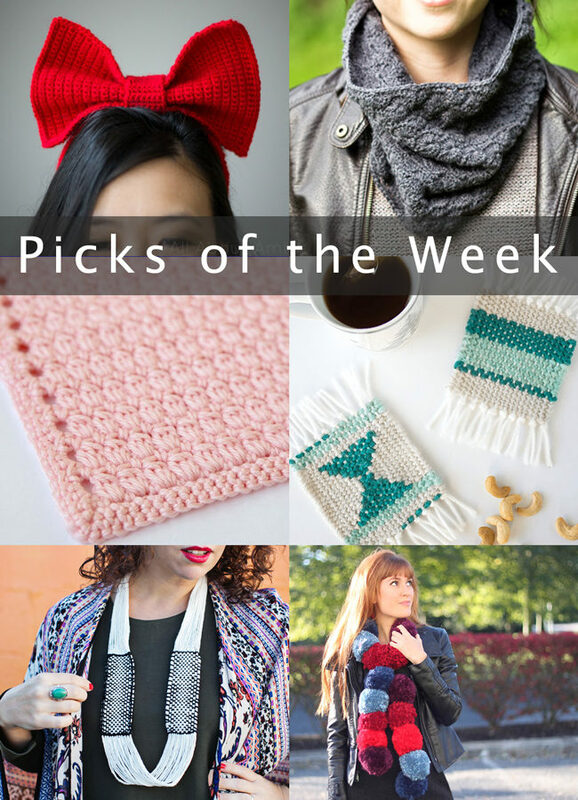 You know, for it being Friday the 13th, this week’s picks ended up being decidedly cheery! All of these ideas are colorful, fun, free and fast, a recipe for any weekend to be filled with good luck, even if it starts on a superstitious day. Who doesn’t love a good single skein knitting pattern? This checked scarf with bands of garter stitch at even intervals is both textural and masculine. A chain edge and knit and purl motifs really add a nice polish to this simple pattern. It appears neck warming season is here! 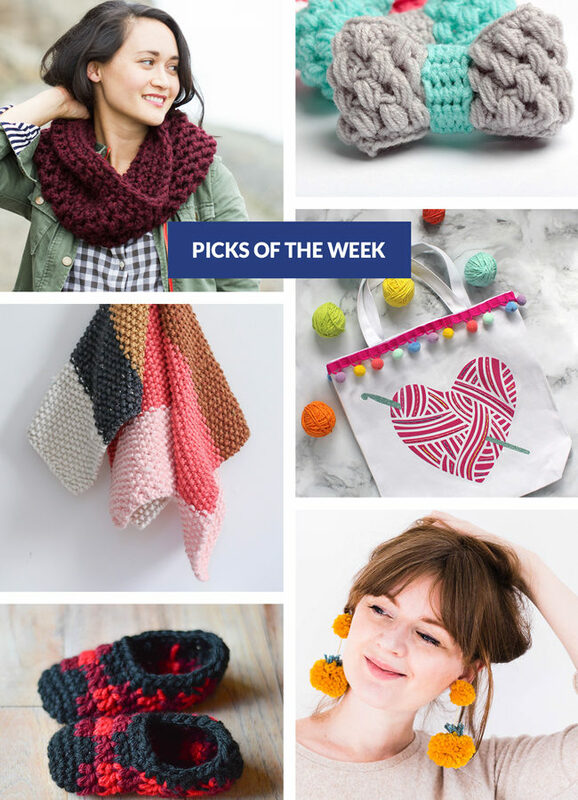 I’d wager there are more scarf and cowl patterns out there than any other type of knit or crochet accessory. 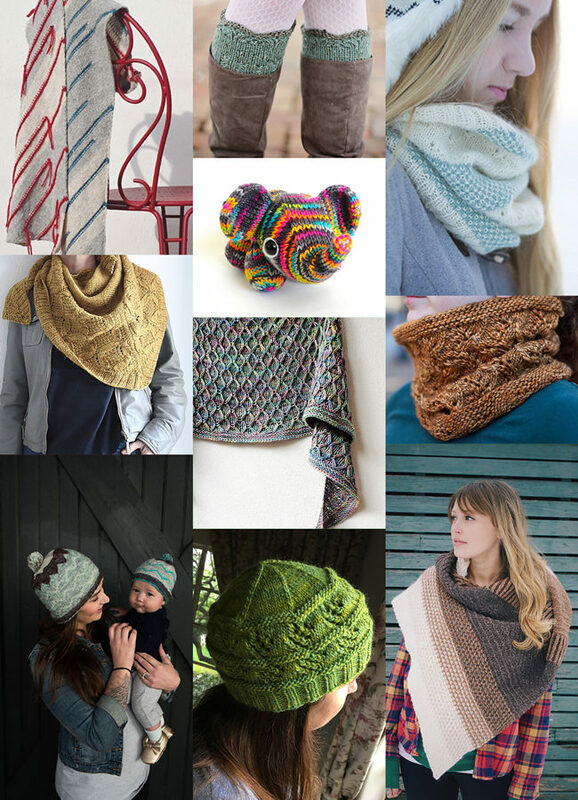 With so many great options to try, why not whip up a new scarf or cowl for yourself this weekend? 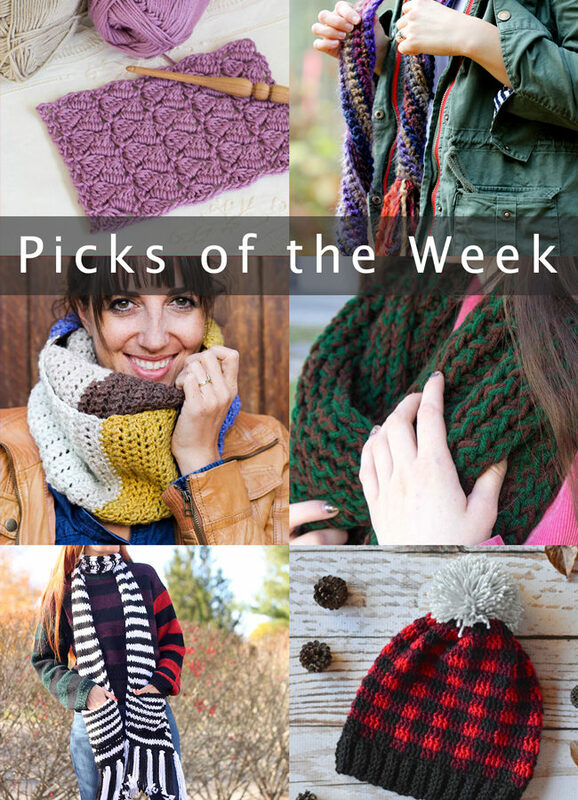 Inspire your weekend knitting with these great new ideas! It’s fall so things are getting SERIOUS in the knitting world. 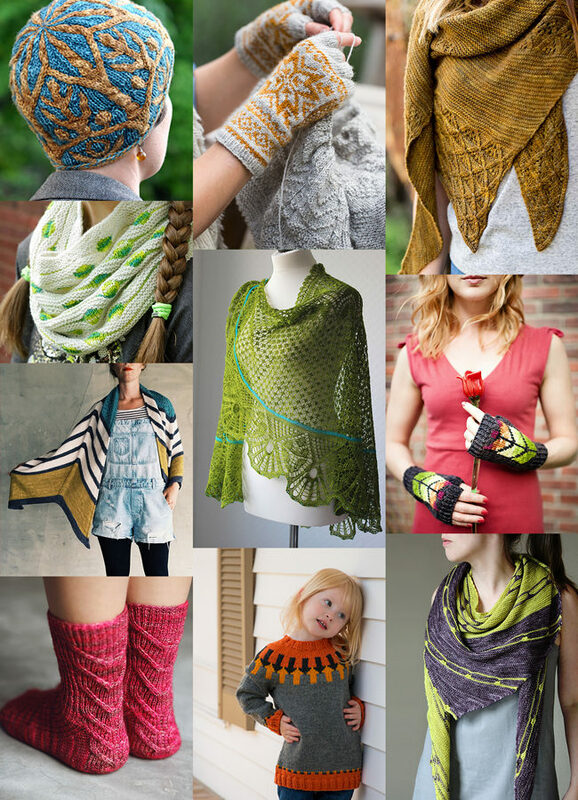 There are gorgeous new patterns being released practically every day from independent designers. How to choose what to cast on from among all of theses stunners? 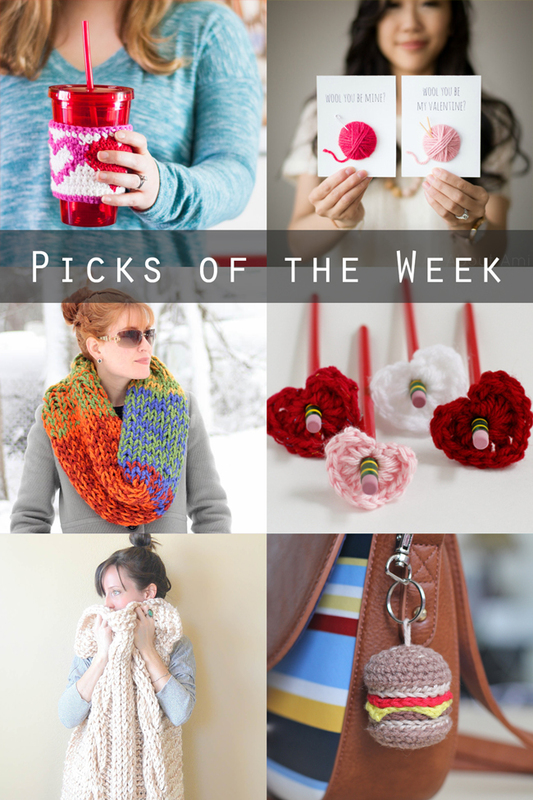 A look at 10 inspiring accessory patterns to knit this February! Lots of greys and neutrals today, and I love it! I’ve been on a grey kick recently, maybe because the skies are full of grey these days. 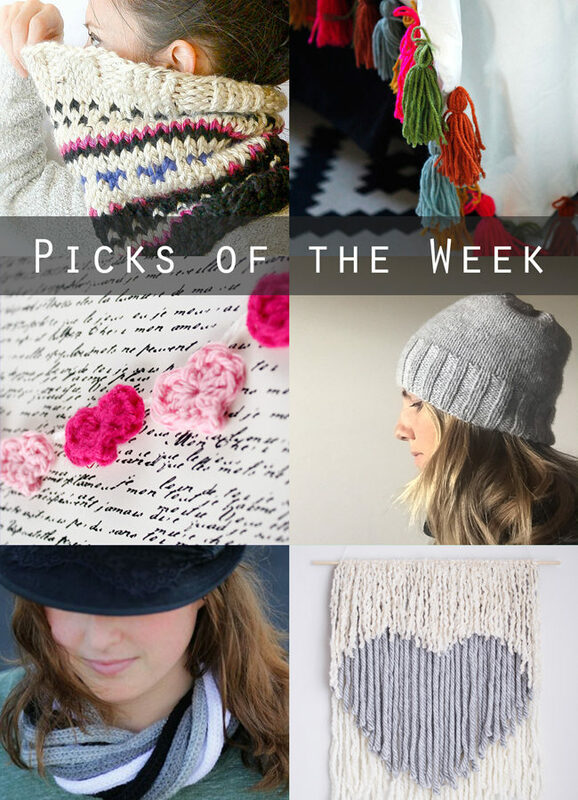 Get inspired to tackle a weekend yarn craft with one of these lovely ideas.